Levin nähtävyydet, rinteet ja muut aktiviteetit olivat erittäin mieluisia. Majoituspaikka oli aivan mahtava, erinomaisessa kunnossa, todella lähellä keskustaa ja varustukseltaan upea. Далековато от подъемников, но если приехал на машине это не проблема, в целом тихо красиво уютно, с маленькими детьми не рекомендую, нет калитки на лестницу, приходиться всё время следить за ними, что бы не лезли и не падали. Отличный Новый дом. Всё удобно, комфортно. Есть всё необходимое! Леви - наша любовь! Taksi joutui odottamaan kauan, kun etsin ohejeiden mukaista osoitetta. Voisi kertoa, että kyseinen rakennus on kiinteistövälitystoimisto. Siisti, tosi näppärä mökki ja kävelymatkan päässä keskustan aktiviteeteista ja yöstä. Lock in a great price for LeviRoyal Sointuilevi Apartments – rated 8.4 by recent guests! LeviRoyal Sointuilevi Apartments This rating is a reflection of how the property compares to the industry standard when it comes to price, facilities and services available. It's based on a self-evaluation by the property. Use this rating to help choose your stay! 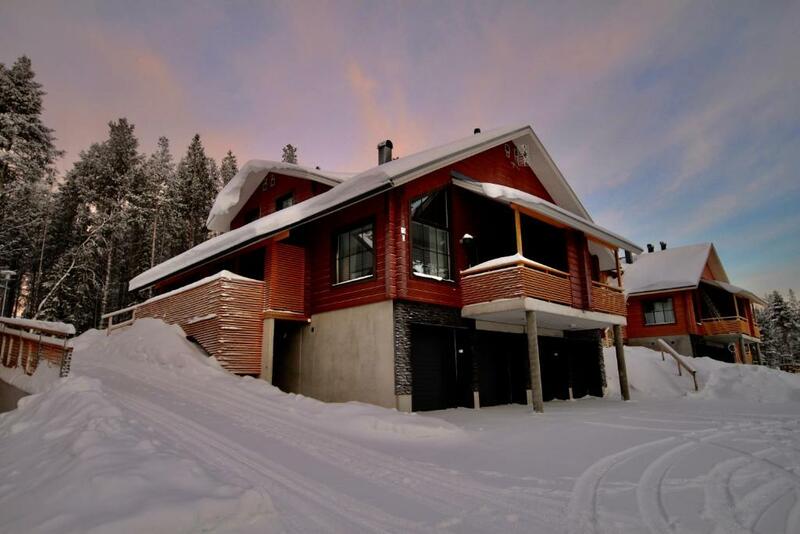 A 19-minute walk from Spa Water World, Levi in Levi, LeviRoyal Sointuilevi Apartments provides accommodations with a sauna. All units come with a seating area, a flat-screen TV and a fully equipped kitchen. A terrace with garden views is offered in every unit. A ski storage space is available on site and skiing can be enjoyed within close proximity of the vacation home. Popular points of interest near LeviRoyal Sointuilevi Apartments include Sonera Kids Land, Hemmo and Market Square, Levi. The nearest airport is Kittila Airport, 9 miles from the accommodation. When would you like to stay at LeviRoyal Sointuilevi Apartments? This holiday home features a fireplace, sauna and microwave. This holiday home has a washing machine, electric kettle and kitchenware. This holiday home features a washing machine, patio and dining area. House Rules LeviRoyal Sointuilevi Apartments takes special requests – add in the next step! Bed linen, towels and final cleaning are not included between 5 May 2019 and 1 December 2019. These services can be booked separately by contacting the property in advance. Please inform LeviRoyal Sointuilevi Apartments of your expected arrival time in advance. You can use the Special Requests box when booking, or contact the property directly using the contact details in your confirmation.